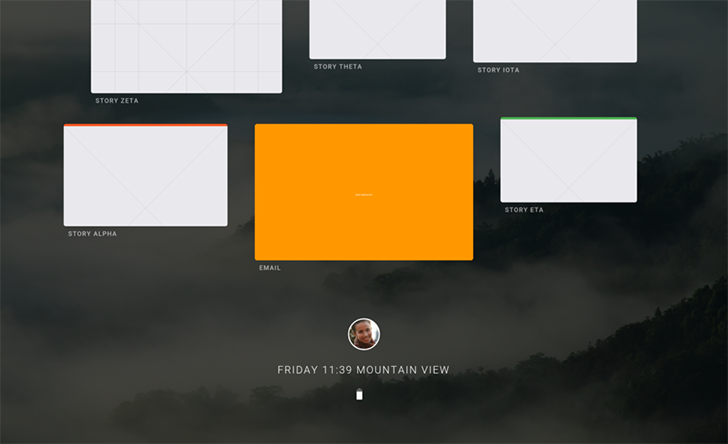 We first talked about Fuchsia, a new operating system being developed at Google, back in August (in fact, it was my first post here). At the time, there wasn't much to get excited about besides the potential - it only had a command-line interface. 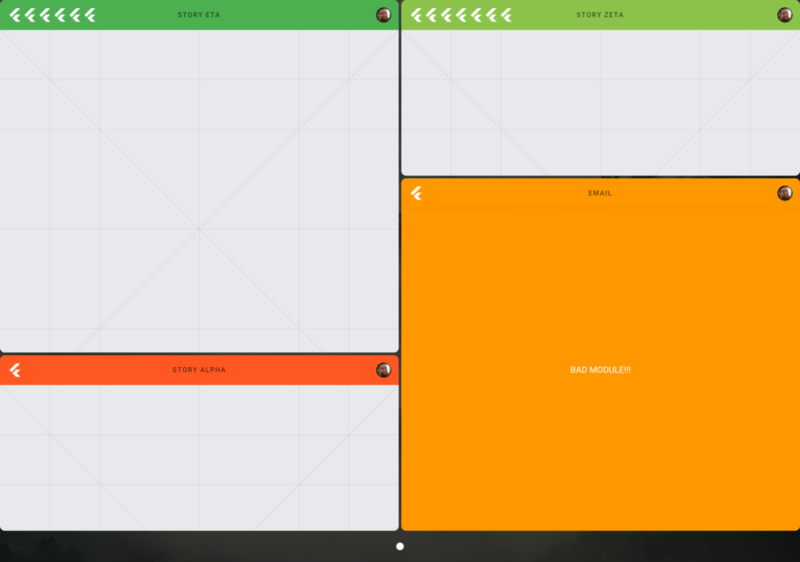 Now the project has a snazzy new, but clearly unfinished, interface. First, it's worth going over exactly what Fuchsia is, because it's been quite a while since we talked about it. As opposed to all of Google's other OSes, such as Android and Chrome OS, Fuchsia uses the company's new 'Magenta' kernel instead of Linux. According to the project's documentation, Magenta is designed for "modern phones and modern personal computers with fast processors, non-trivial amounts of ram with arbitrary peripherals doing open ended computation." Magenta's apps and the system interface are written with Google's Flutter SDK, which was initially designed to create cross-platform apps for iOS and Android. Flutter applications are written in Dart, the company's home-grown programming language. All of the system and apps are rendered by 'Escher,' which uses OpenGL or Vulkan to display everything. So, on to the new stuff. Fuchsia's system UI has a new name - 'Armadillo.' Ars Technica was able to compile Armadillo into an Android APK, since it is written with the above-mentioned Flutter SDK. The interface doesn't really do anything besides look pretty, but it does give us an idea of what the finished product could look like. The home screen is a vertical list, with a profile picture, the time, and a battery indicator in the center. Tapping the profile picture brings up something similar to Android's Quick Settings, with toggles for auto-rotate, do not disturb, Airplane Mode, and so on. This is what dragging a Story card into split-screen looks like. Dragging a Story card onto another one triggers a split-screen mode. 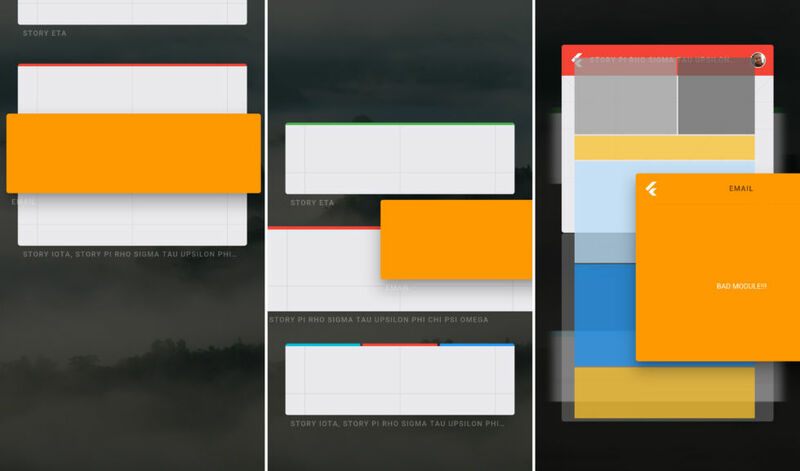 The user can split an app 50/50 vertically or horizontally, drag in another app for a 33/33/33 split, or even have a tab bar appear for using all the open apps in full-screen. You can even have two apps split vertically next to two other split apps, seen below. This is far more flexible than Android's current multi-tasking functionality, but whether or not it will stay this way is uncertain. Below the profile picture is a panel resembling Google Now, with a placeholder search bar and suggestion cards. Armadillo's documentation says, "a suggestion is a representation of an action the user can take to augment an existing story or to start a new one. [The] suggestion contains enough information to create the visual representation of that concept." So maybe they will work more like an app launcher? It's hard to tell at this point. 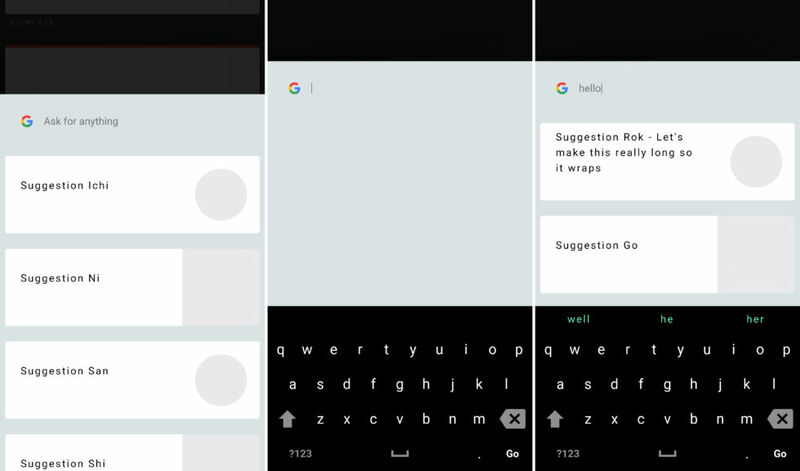 The Google Now panel, showing Fuchsia's keyboard. Keep in mind that all of this is subject to change, as the Armadillo interface (and the rest of Fuchsia OS) is still under heavy development. It's also hard to tell what Google's plans are for the operating system. Will it be relegated to Internet-of-Things devices and other basic hardware, or will it some day replace Android altogether? We'll have to wait and see.